Get Started Online in 3 Easy Steps! Get Started on Your Medical Marijuana Therapy. Southern Comfort Marijuana Clinic services a void in medical care, addressed from the perspective of a Family Medicine Physician. Our goal is to give people access to the integrated therapy of Medial Marijuana for their conditions, in a non-judgmental fashion backed by science. We are able to do this through Florida State-approved programs and legal policy, all the while under the supervision of a trained doctor. 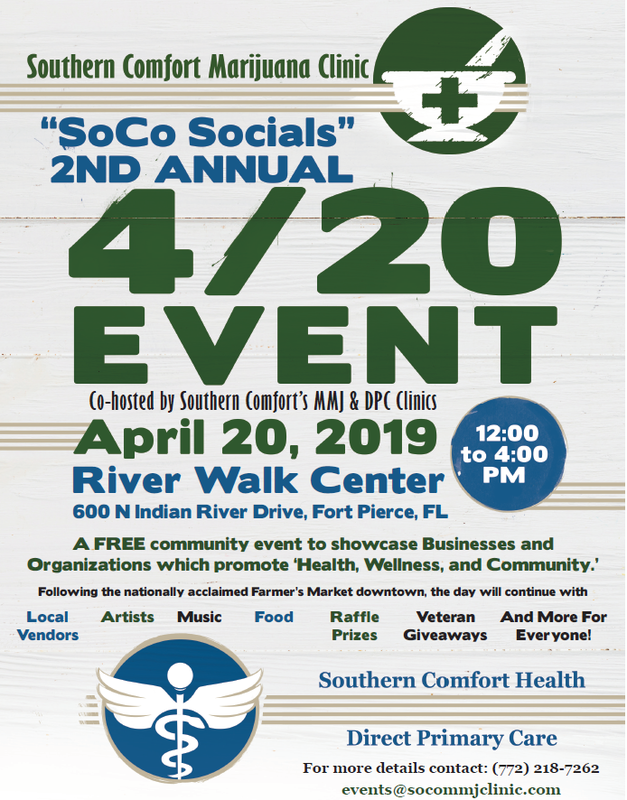 The providers at Southern Comfort Marijuana Clinic will evaluate your condition through chart review and physical examination, help you navigate the ID Card process, and then guide your therapy through recommendations of various Cannabis products. We strive to make the experience personal and without stigma, as we can understand each person’s journey through illness deserves respect, and we will maintain your dignity in a comforting style. Get Started on Your Medical Marijuana. REGARDING SMOKING MARIJUANA: Governor DeSantis signed a bill on March 18, 2019 allowing access to ‘Flower’ Cannabis specifically for smoking. New patients will not qualify for Smoke methods unless other methods can be documented as attempted. Existing patients interested in adding Smoke methods to order sets will need to return to office as a Consult appointment or wait until their next scheduled Certification appointment. Required documentation includes a Smoke-specific consent form, and record for other methods of use – the time frames of trials and assessment of effectiveness. Please review your patient portal at https://mmuregistry.flhealth.gov to review your previous purchases. See the Department of Health Office of Medical Marijuana Use (OMMU) website https://knowthefactsmmj.com/smoking for any other FAQs. and more on Google Reviews!